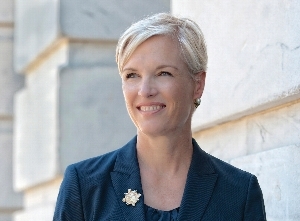 Thu, March 28, 2019 7:30 P.M.
A “heroine of the resistance” (Vogue), Cecile Richards was the president of Planned Parenthood Federation of America and the Planned Parenthood Action Fund from 2006 to 2018. The daughter of legendary Ann Richards, she began her career in the labor movement, then helped her mother become Texas’s first Democratic woman governor, and later served as Congresswoman Nancy Pelosi’s Deputy Chief of Staff. One of Time magazine’s 100 Most Influential People in the World, she serves on the board of the Ford Foundation and founded the Texas Freedom Network in order to counter the religious right. Make Trouble tells her indelible story and offers practical advice for a new generation of leaders. A book is included with your ticket purchase.